The Four Season Travel Trailer design was inspired from years of camping using other camping trailers and making every aspect better, higher quality, more efficient and easier to maintain. Once you see what the Oliver designers have developed you will soon see why we're the best insulated travel trailer in the industry. Our camper trailers are built with a double hull shell with an air gap and insulation between, this insulates the same way a double sided insulated cup does. Owners of our campers can enjoy camping in all four seasons because our campers have a heater that helps keep you warm during the harsh winter weather. Cold temperatures can be a big downer when you're out adventuring, but if you have an Oliver camper, you'll be protected from cold weather thanks to the heating system. For insulation, we use an insulated double-side radiant barrier, which is best described as follows: "Reflective aluminum foil on each side of 5mm (13/64 inch) closed-cell polyethylene foam center. *Closed-Cell Polyethylene Foam Insulation + Radiant barrier + Vapor Barrier + Air Gap Barrier". We have put in mind every type of camper, the wandering winter warriors, the sightseeing spring soothers, the sun-chasing summer saints, and the fall frolickers. A lot of thought is put into every Legacy Elite Series Travel Trailer. Standard components like the 20,000 BTU ducted furnace that distributes heat evenly throughout the trailer and space between the inner and outer shells. Even in harsh winters, you will be toasty warm. 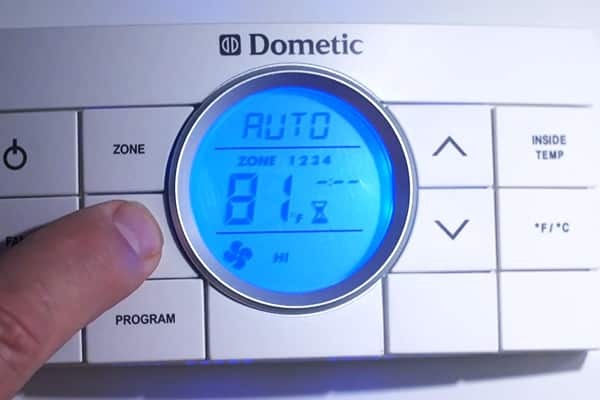 To beat the summer heat, the Oliver comes standard with quiet & efficient Dometic Penguin II roof-mounted air conditioner and the Max Fan Deluxe, the only complete RV ventilation system that incorporates a vent, fan & rain protection into a single all-in-one unit with built-in wall mounted thermostat. You will not find a more comparable design that provides the level of protection that the Oliver Camping Trailer provides from the elements. 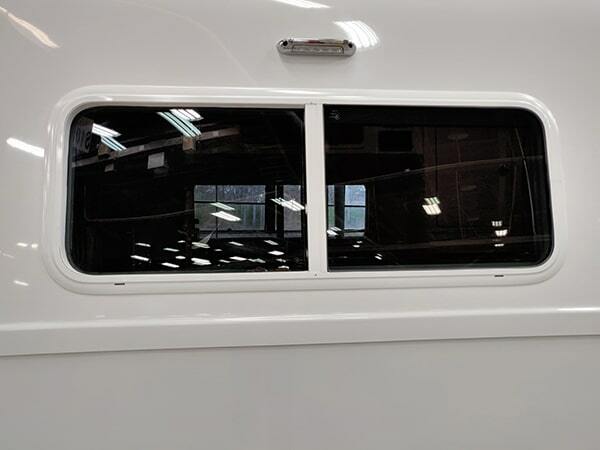 Our double-pane windows make 4 season RV living comfortable, as the superior insulation keeps the heat of the day and the cold weather of the nights from seeping into the RV. Superior insulation isn’t the only benefit with double-pane windows. Our windows have a locking system. This makes them sturdy and increases safety because the locking system prevents the windows from being opened from the outside. With the double hull you have similar attributes of a double pane window. Between the two shells of our travel trailer houses the water tanks and plumbing. Protecting it from the harsh weather elements. This helps to keep the interior at comfortable levels and the air gap helps to prevent condensation from forming on the inside.